Scott Brownrigg architects and planners in Guildford put together a 300 page regeneration bid for Bournemouth as their entry to a competition organised by Bournemouth City Council. 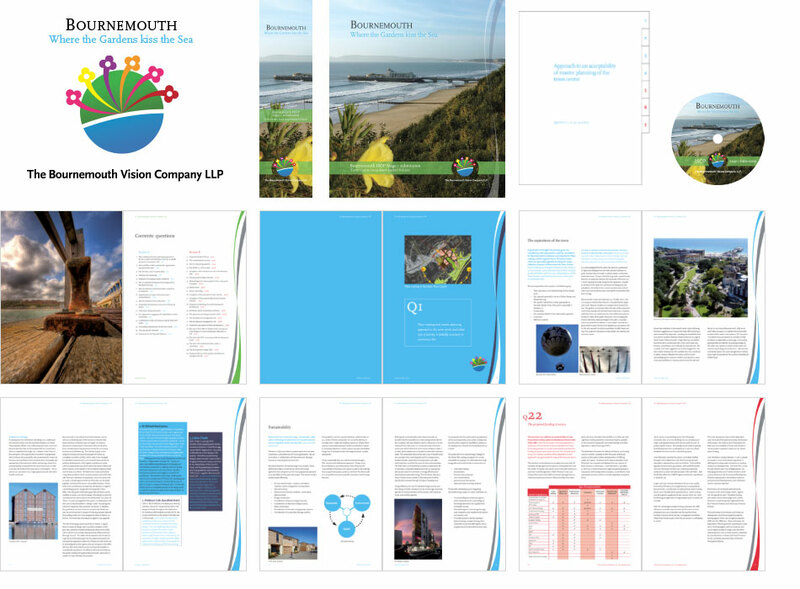 In this first round the bid comprised 300 pages, and my responsibilities included logo design, document design and production, image sourcing, co-ordination of content from 10 consultants, and liason with the printers. The final product was ring bound with spine and cover designs, as well as tabbed dividers and a labelled CD mounted to the inside cover. The group were successful at this stage and progressed to the second round. July 25, 2010 | Filed under Client: Scott Brownrigg, Design, Image sourcing, Infographics, Layout, Screen presentation.